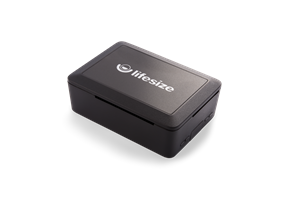 Lifesize has announced a number of exciting new enhancements to the Lifesize Share, including a digital signage application, that has opened up a whole new level of functionality for hundreds of thousands of conference rooms and displays around the world, already connected into the Lifesize Cloud. By partnering with ScreenCloud, the Lifesize Share can now present compelling content on screens to broadcast corporate communications throughout your organisation, whether in the office and your reception areas, or within conference rooms when the display is not being actively used. The Share can automatically switch between the Lifesize meeting room Video Conferencing systems and your content, helping you share your messages internally and make the use of often unused screens around your office space. What do organisations use Digital Signage for? Digital signage is used by organisations big and small for getting messages out there. The Lifesize Digital Signage application is simple to set up and use; configuration is simple, apps are customisable, playlists for content are a simple “drag and drop” and everything is centrally managed. For more information on the Share, or to find out more about Digital Signage options for you, get in touch with our team today.